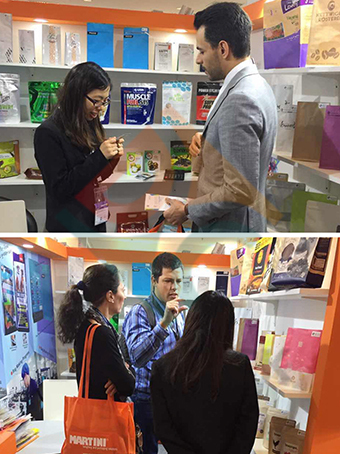 China Flexible Packaging manufacturer for Stand Up Pouches, Flat Bottom Bags, Laminated Paper Bags, Coffee Bags, Pet Food Bags with 14 years experiences. 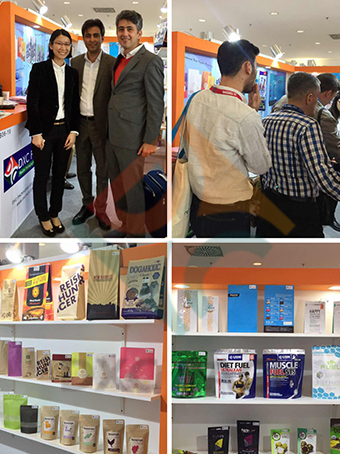 Interpack fair will be finished on May-10.Thanks for the new and old customers to visit our Booth No: "ENB B 06-18" on these days.It is very honored that many customers will visit our company after the fair. We are the flexible packaging manufacture from China. Our products have many benefits including lower freight costs and less storage space needs for your business.Create the look of your unique brand with DXC Custom Printing.We will come with you to create a brand for your products. Last but not least,We always keep going to give the professional services for you . Copyright  Foshan DXC Packaging Co.,Ltd All Rights Reserved.